The Sedibus Speaker Series will have one speaker each month from every sector who will interact with the local startups and businesses. Malaxmi Group's The Sedibus has kicked off its first edition of Speaker Series yesterday in Vijayawada. Jumpstarting new series along with Yi Amaravati, The Sedibus Speaker Series will have one speaker each month from every sector who will interact with the local startups and businesses. The Series have been envisioned by The Sedibus in order to create effective interactions between individual entrepreneurs and industry leaders. Dr Nupur Pavan Bang, Associate Director, Thomas Schmidheiny Centre for Family Enterprise at Indian School of Business took the audience through facets of running family business under emerging startup ecosystem in the first edition. The session was filled with meaningful discussions and topics about prevailing scenario of entrepreneurship and how family businesses need to adapt to the changing technologies and practices. The session was attended by several family enterprises and members of Yi Amaravati. “Family firms in India have traditionally played a key role in the development of the nation. They not just survived, but also grew in the post liberalization era when their were doubts about their ability to succeed in an open and competitive environment. Once again, in the changing environment where startups are setting the benchmark for innovation in products and services, family firms are marching ahead to act as facilitators and encouraging the family members to be entrepreneurs. The growing interest of family offices in investing in startups is a testimony to a shift, to the fact that families are adapting to the era of startups.” said Dr Bang, who specializes on the subject of family enterprises. 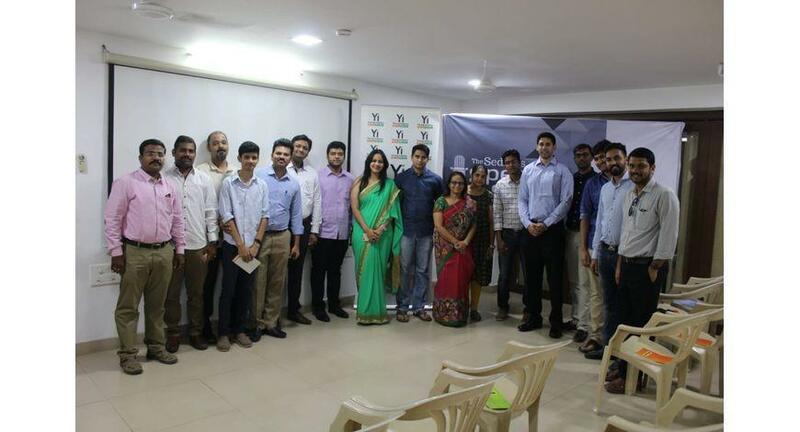 "The Sedibus Speaker Series will bring mentors and leaders from across the industry sectors who will interact with businesses and startups in Vijayawada and Amaravati on various touch points. With this, we are aspiring to bridge existing gaps, connecting local entrepreneurs with the best of mentors. We are happy to have collaborated with Yi Amaravati to move this initiative ahead. We are working to bring more industry leaders and speakers to Amaravati to fuel the entrepreneurial set up" said Deepa Balasubramanian, Chief Executive Officer, The Sedibus.